That the Self-Managed Superannuation Funds which own collectables and personal use assets would be required to dispose of those over a ten year period. Collectables include artworks, exotic cars, stamp collections, race horses, and wine cellars. However, it is the area of arts that is of great concern to us. It is our view that if the recommendations of the Cooper Review are adopted by the Government, it would have very serious consequences for artists, as it would decrease the pool of funds available for the purchase of art, which we conservatively estimate to be in the vicinity of $50-60 million per annum. This would not only have an effect on artists but would flow through to their exhibiting galleries and affect all associated business activities, such as framers, art suppliers, carriers, writers, reviewers, etc. It is our intention to bring these concerns to the notice of the Government and the Opposition as well as the public. We anticipate that we will be preparing petitions which will require your participation, and we therefore request that you provide us with your email address to facilitate this procedure ASAP. In the meantime, please visit our website – www.australianartistsassociation.org.au – which we will keep updated regularly in order to keep you in the picture. We are pleased to recommend our members the services of CIA (Consolidated Insurance Agencies). CIA are specialist providers of Fine Arts Insurance. Their facility provides cover for museums, galleries, fine art dealers, exhibitions, private and corporate collections, artists’ personal collections, etc. There is a standard cover against fire, storm, accidental and malicious damage, burglary, and theft. Most importantly for our members, the cover also extends to include artworks in transit locally and worldwide; fairs and exhibitions; in transit to, from, and while attending fairs and exhibitions, etc. To obtain a no-obligation quotation, contact Geoff on +613 9557 2976 or geoff@ciainsurance.com.au. Alternatively, you can download the information brochure from their website, http://www.ciainsurance.com.au/fine-arts.php. 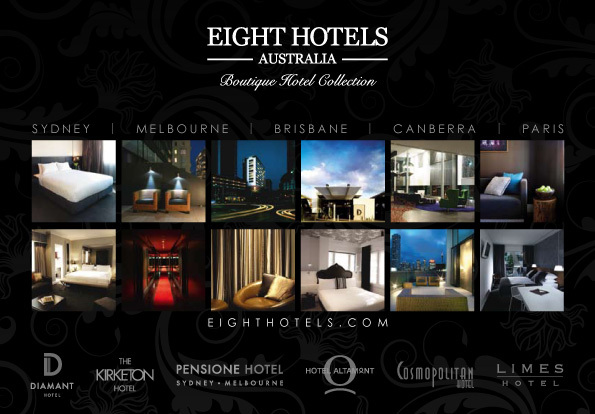 Eight Hotels Australia, which was formed in 2002, is an eclectic collection of independently named boutique hotels. They are committed to developing and operating boutique hotels in prime locations throughout Australia whilst integrating striking interior design and world class hospitality. To take advantage of these great rates, mention “Australian Artists Association” when booking your accommodation at any of the hotels listed above. For contact details and further information on Eight Hotels Australia, visit their website, www.eighthotels.com. Over the past few years, I have been confronted with numerous problems in my capacity as Executor, mediator, and / or advisor to Deceased Estates. 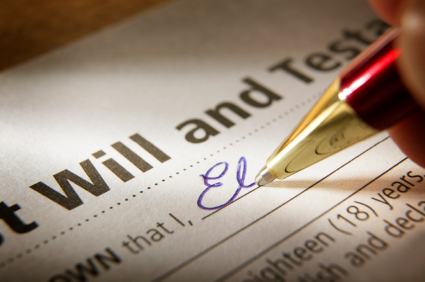 Many of the problems that occurred arose from homemade Wills, and sometime from Wills prepared by lawyers. In some instances, it was impossible to carry out the wishes of the Deceased due to technical / legal reasons or as a result of lawyers who had not been properly briefed by the accountants as to the financial situation of the client. In other instances, problems arose when properties left to beneficiaries were not actually owned by the Deceased but instead belonged to a company or a Trust. There were also some situations where the assets left in the Will no longer existed, or had already been gifted during the Deceased’s lifetime. When preparing a Will the most important aspect is that both your accountant and your solicitor are consulted and are fully aware of your assets and their location. In the first instance you should consult your accountant and obtain a comprehensive list of your assets and liabilities, including the date that the assets were acquired, as there could be possible Capital Gains Tax implication. You should also ask your accountant to prepare a chart of your business structure and to provide your solicitor with copies of Trust Deeds and company documentation, to establish in what way the control of these entities is exercised. It is also necessary for you to prepare a comprehensive list of your beneficiaries, including children by previous marriages or others who could claim to be your dependents. Ideally, you should meet with your accountant and solicitor as a part of the preliminary discussion to ensure that they communicate with each other and are fully informed of your circumstances. In case of artists where a large part of their estate is in the form of artworks, special considerations are needed. If you would like to find out more regarding the financial implications of making a Will and Estate planning, contact us for further information regarding this article. In my capacity of Executive Director of the Australian Artists Association, I am making a submission regarding the “Integrity Measures” rulings of 2000 and 2005, which affect the Visual Arts Sector. 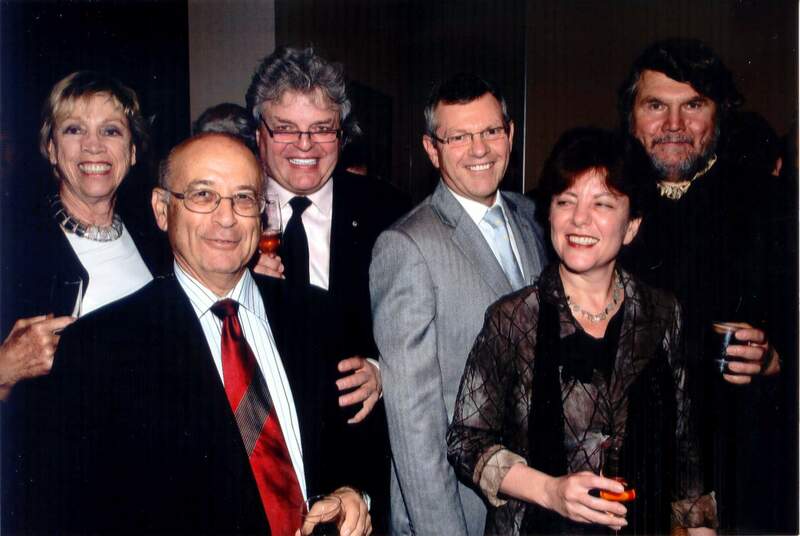 In brief, in June 2000, the Government introduced “integrity measures” [regarding losses from non-commercial activities] which are having serious consequences for some artists. This legislation precluded artists from claiming losses from such business activities, unless they met one of four criteria: assessable income had to exceed $20,000; a profit had to be made in 3 out of 5 years; assets utilized in the business have to exceed $100,000; utilized real estate had to exceed $500,000. Subsequent amendments enabled artists with income from other sources of less than $40,000 to offset their art business losses against this other income. It seems a travesty of justice, if an artist meets the criteria to determine that he or she is carrying on business as a professional artist, that these artists have then to meet the additional criteria mentioned above. There is no justification in putting additional conditions on artists’ ability to claim legitimate business expenses, once they have established that they are carrying on business, as a professional artist. The Legislation has the effect of penalizing the artists for their lack of financial success, which, I am sure, is not the intention of the legislators. The current economic situation can only add to the difficulties experienced by the artists. In the early 1990s, the art market was quite depressed, and sales dropped dramatically, with the result that some galleries had to close their doors, owing artists substantial monies. There is a general concern that with the current downturn of the economy, there is a danger of the repeat closure of commercial galleries. In many cases artists will be the ones who will suffer most. Furthermore, we are constantly aware of certain galleries (and let me stress that these cases are exceptional) who do not pay their artists promptly; in a few cases, legal action had to be taken to recoup the sales proceeds. There is no legal, moral, or financial justification for galleries using artists’ monies, without the artist’s consent, as their working capital. The only way in which to ensure that the present gallery system is not used to the disadvantage of artists, is for galleries to operate Trust Accounts for their artists, similar to Solicitors and Estate Agents Trust Accounts. It is my recommendation that Legislation should be introduced, whereby when a Gallery receives payment for sale of an artist’s work, the proceeds will be placed into a Trust Account and payments then made from the Trust Account for the artist’s share of the sale, and to the Gallery for their commission. A number of commercial galleries and the Australian Commercial Galleries Association have opposed this concept, and it is unlikely that the ACGA will self-regulate and set up Trust accounts without some form of Government intervention. Over the past decade the primary art market has experienced a healthy growth. To date, the impact of the recession on the primary market has been limited and in no sense has this market collapsed. Generally good art by recognized artists has continued to sell well in Melbourne, Sydney, Brisbane, and Canberra. The less well established artists have had some difficulty in achieving sales over say $10,000, although sales of smaller paintings, works on paper, and graphics have experienced a modest growth. It will be interesting to see the first round of auctions in the next few months. In the second half of last year, auction houses had been showing signs of strain. In part, this was due to the lack of high quality stocks to maintain the frequency of more than 30 major art auctions per year. 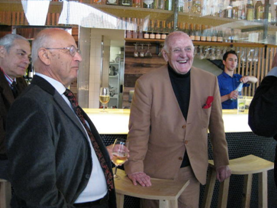 Over the last couple of decades, there has been a marked shift from the “art collector” to the “art investor” / “art speculator”. 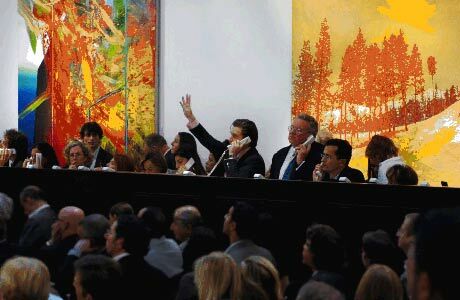 It is without a doubt that auction houses and secondary art market consultants have been instrumental in promoting art as an alternative investment. 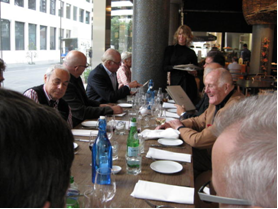 This has been to a large extent assisted by the Australian Taxation Office’s recognition of art as a legitimate form of investment and its acceptance that even a certain percentage of a superannuation fund can be invested in art (subjects to prudent conditions and guidelines). It is considered, that the economic downturn will affect the secondary art market to a larger extent than the primary art market. While it is expected that collectors and investors will continue buying good art at reasonable prices, speculators will be reluctant to return to the fray. Without a doubt, artists, like the general community, will all experience and feel the impact of this financial downturn. However, in most instances, the impact can be managed, and the negative consequences can be minimized. It is suggested that artists consult their accountants or financial advisors to put in place contingency plans for, say, next two years. It is suggested these advisors be instructed to prepare a budget for expenditure. 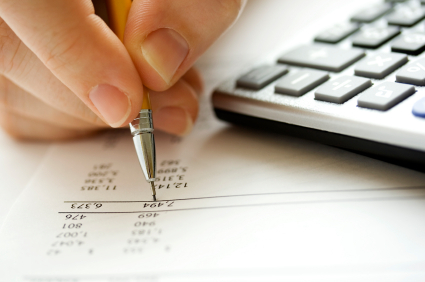 In many instances, the difference between anticipated income and budgeted expenditure will create deficiency. We suggest that artists, who do not have reserves to cover this deficiency, but have equity in their property (or some other security), approach their bank to provide a facility to cover this deficiency. We do not suggest that artists actually borrow the money, but that they arrange for their banks to put a facility in place, in case it is needed. In these circumstances (with the exception of the facility fee) interest is only paid on the overdraft. Recent observations from exhibitions and reports from galleries and artists suggest that with the exception of some well-established artists, sales in excess of $10,000 for individual works are becoming more difficult to achieve. However, more sales have been achieved in the lower price bracket. When planning an exhibition, an artist could give a consideration to include a number of smaller items (including works on paper and / or graphics) to complement larger / major pieces. 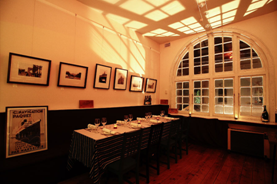 It is essential for artists to continue their dialogue and relationship with their commercial art galleries. Artists should avoid the temptation to by-pass their dealers and resort to studio sales. This can have negative consequences and impact the artist’s prices for many years in the future. While it may sound like a euphemism, not to view the recession as a crisis, but as an opportunity, this could provide artists with a bit of time to reassess their work and their direction, and to embark on new projects, which could come to fruition when the fiscal situation improves. We are keen to hear from our members and value your input into AAA’s future directions, so please email us atinfo@australianartistsassociation.org.au and feel free to air your ideas with us.